Once you have selected just the right fireplace to bring warmth and ambiance to a specific room of your home, it's affordable as well as easy to add a decorative accessory that can help customise that fireplace. 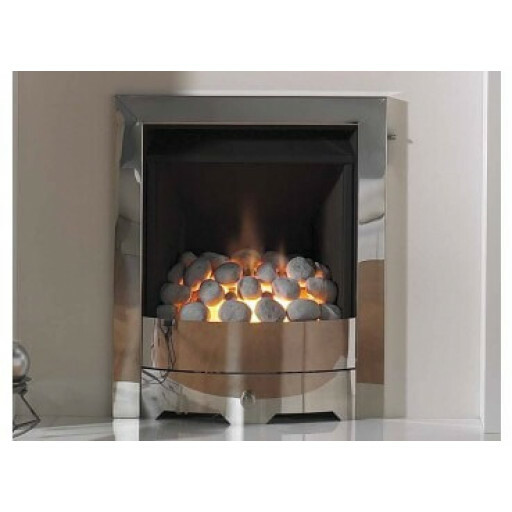 The Legend Spirit Gas Fire Contemporary Superslim gas fire trim set can do just that, helping your hearth to stand out and give it a special degree of personalisation that reflects your good taste. This Legend Spirit Gas Fire Contemporary Superslim Trim Set comes complete with built-in fret and is available in your choice of matt black finish, chrome or brushed steel. This is a quality constructed trim set designed using the best materials on the market so that it is not only durable for years to come but also stylishly designed to add just the right decorative accent to the style of fireplace you have installed. Once this elegant and contemporary trim set is in place around your existing Legend Spirit superslim gas fire, your fireplace is guaranteed to have even more visual appeal in addition to nicely accenting the established décor of the room. Not only does this superslim trim set install easily, it is also very easy to maintain and keep clean with just a wipe of a cleaning cloth.